Big Float - When Quality Counts. Pontoons can be hydraulically narrowed for transportation which enables fast transitions between the jobsites. 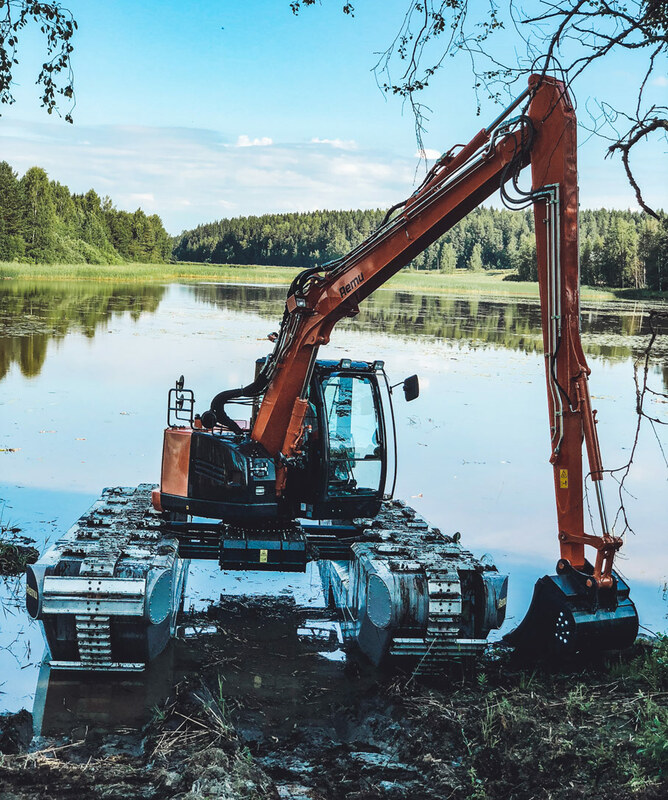 It can be driven on solid land, through shoreline and to shallow water areas that cannot be reach by normal excavator or by boat. 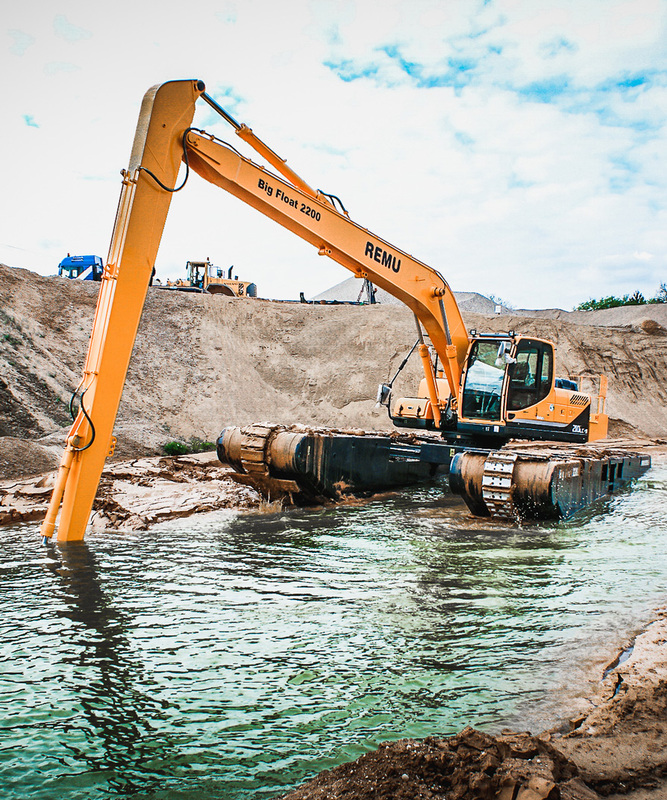 Customer is free to choose any excavator brand to be mounted on pontoons. Big Float can be also equipped with wide range of additional equipment. Big Float undercarriage can be hydraulically adjusted which allows the operator to pull the pontoons together when passing narrow gaps and spread them apart to achieve steady positions for operating. Widening beams of Big Float are specially designed for best possible strength. 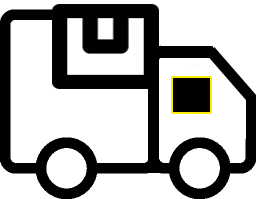 Similar structure is applied in cranes that are designed to carry weight. 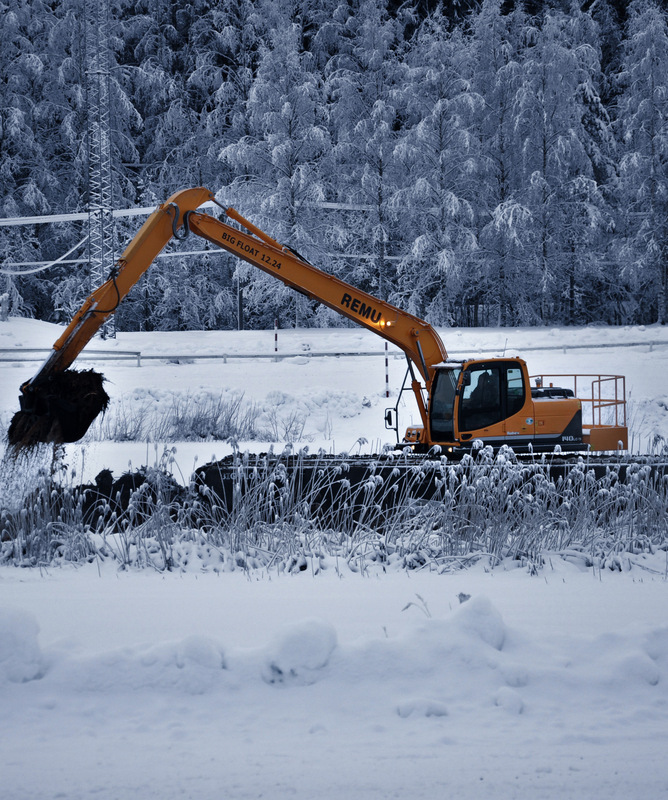 Security of the machines working in most challenging environments should be the most important feature when choosing the machine. Big Float pontoons are long and low which keep the barycenter low and maximize the stability. Our undercarriages and additional pontoons are designed not only for static buoyancy, but also for optimal stability. Multiple series for each unique application.